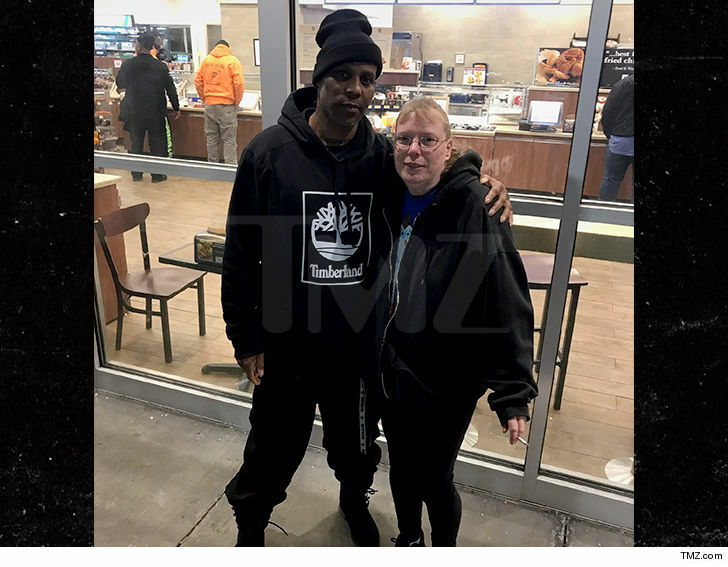 Some of DMX fans working at a Maryland gas station were lucky to be among the first people to see the rapper after he got out of prison. When they asked for a photo he simply replied, "X Gon Give it to Ya!" Folks at the Royal Farms store in Frederick tell TMZ that DMX and his crew of about 20 pulled in Friday night around 7 PM to gas up and grab some goodies. We're told everyone immediately recognized him and he was super friendly to the staff ... agreeing to snap several pics before they took off.